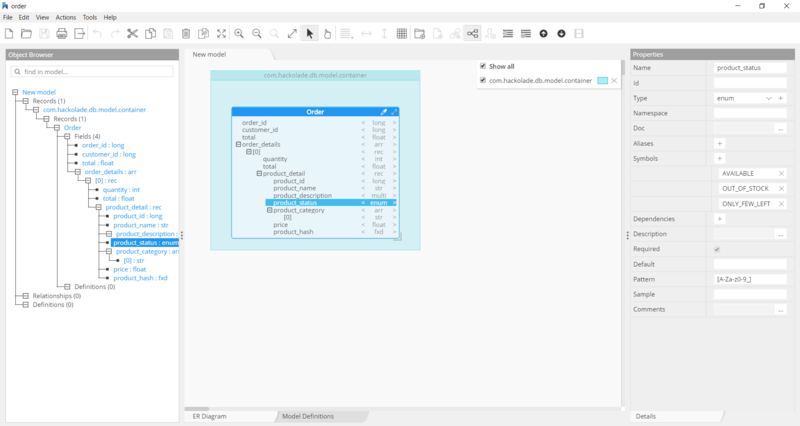 Hackolade is a visual editor for Avro schema for non-programmers. 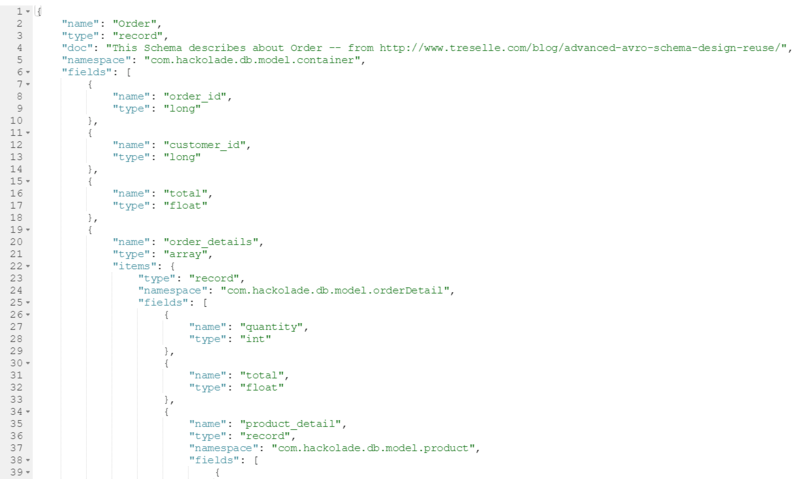 To perform data modeling for Avro schema with Hackolade, you must first download the Avro plugin. Hackolade was specially adapted to support the schema design of Avro schema. The application closely follows the Avro terminology. An Avro schema is created in JSON format and contains 4 attributes: name, namespace, type, and fields. There are 8 primitive types (null, boolean, int, long, float, double, bytes, and string) and 6 complex types (record, enum, array, map, union, and fixed). Note: the Union type is supported through the use of model definitions. Hackolade also supports Avro logical types. Hackolade dynamically generates Avro schema for the structure created with the application. Hackolade easily imports the schema from .avsc or .avro files to represent the corresponding Entity Relationship Diagram and schema structure.